Take in the beautiful Hastings River – from the glorious sunsets to our tranquil rural landscapes and abundant wildlife. Cruise the wonderful Hastings River aboard the Port AdVenture anytime of the day or night. Relax, unwind and be entertained, as we explore the tranquil waters of Port Macquarie. 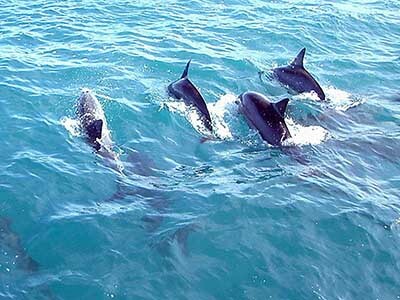 Nature will play a part on the entertainment as we often see dolphins, turtles, osprey and sea eagles. We offer a range of cruises to suit everyone’s “taste buds”. Join us on one of our scheduled cruises or get your groups together and hire the vessel just for you. There is something about Dolphins, that makes us smile every time we see them. All our cruises are catered. Licensed bar on board.